Dahab is one of the oldest and most famous dive areas in the Red Sea offering some of the most exciting and spectacular diving in Sinai. Dahab, which means ‘gold’ in Arabic, was named after its golden beaches, lying on the east coast of the Sinai Peninsula on the Gulf of Aqaba. The journey from the airport in the more touristy Sharm is an hour’s drive through the magnificent desert and mountains. 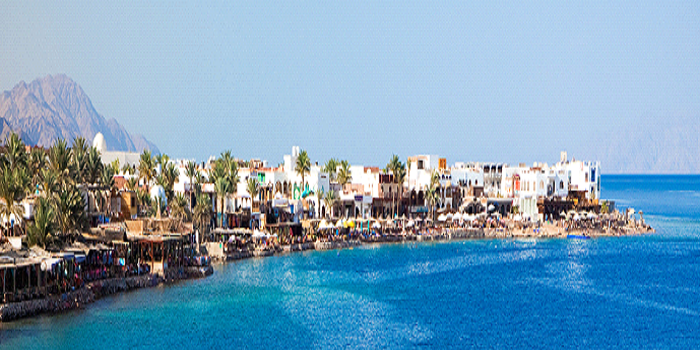 Dahab’s atmosphere can’t be compared to Sharm; Sharm is a typical built-up holiday resort, while Dahab is smaller and quieter, and still attracts a more ‘alternative’ and younger crowd. The bars, restaurants, and cafes line the beach of the small bay – everywhere offers relaxed seating, ‘Bedouin-style’, on cushions and low sofas, enabling you to enjoy the sun, overlooking the sea, do some quality people watching, playing backgammon or smoking a shesha (the traditional Arabic water pipe). Dahab now has a good selection of bars and clubs, which are well worth a visit in the afternoons and evenings. 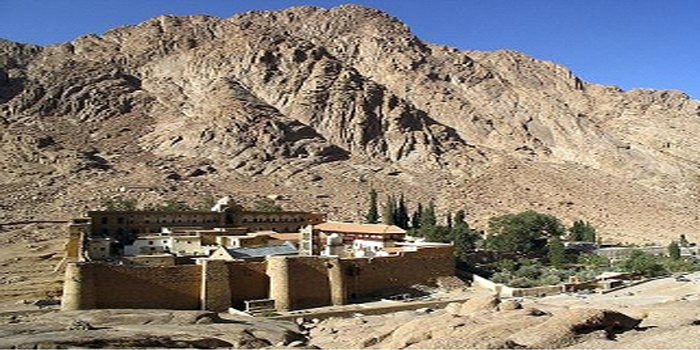 Sinai is warm the whole year round – water temperatures range from 21 degrees to 27 in the summer. Dahab is neither as hot nor as crowded as Sharm. Along the extremely beautiful beach promenade of Dahab Town, you will be served traditional Egyptian and Western fare. As Dahab is overall not too touristy, you will experience the traditional Egyptian lifestyle, atmosphere and pace of life. There, you will also have an opportunity to browse the numerous bazaars. 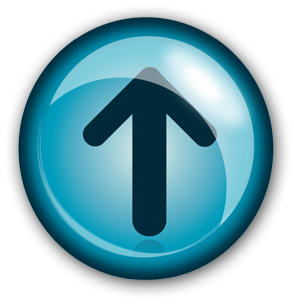 Don’t forget bartering is accepted so relax and enjoy looking for a bargain. If you wish we also recommend a visit the Bedouin village of Ras Abu Galum. You can go to superb deserted beaches and snorkel at the countless reefs around Dahab. Simply let yourself hang loose. You will feel really far away from modern civilization when you spend a night in the traditional Bedouin tent or, if you prefer, right under the stars. These starry skies, the unique wind conditions, the local hospitality and many other attractions are definitely not to be missed. Day 1: Airport transfer from Sharm el sheikh to Dahab and check-in to the hotel. 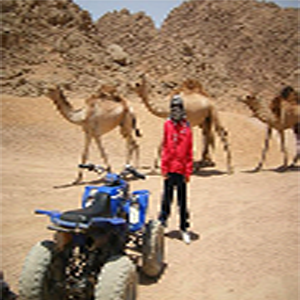 In the late afternoon you will be picked up from your hotel for a 2-hour Quad Bike trip to Wadi Qunai Oasis. 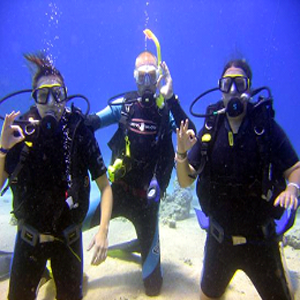 Day 2: You will do two off-the-shore guided dives in or around Dahab to see the beautiful coral and marine life. Day 3: In the morning you will have a private yoga class at your hotel. You will then be picked up at your hotel to go snorkeling at the Blue Hole. At the Blue Hole you can have lunch and relax in one of the restaurants. You return to your hotel in the afternoon at the time of your choice. In the evening we will pick you up from your hotel to go to St Catherine, where you climb Mt Sinai and wait for sunrise at the top of the mountain. Day 4: In the morning you climb down the mountain and visit the monastery. You return around noon to Dahab. In the late afternoon you will go on a 2-hour Horse ride to the Blue Lagoon. In the evening you will have one hour massage. We start at 08:00 and drive for 2 hours to the Coloured Canyon where we will see naturally coloured rocks. We will walk through the canyon for about 2 hours and drive for 1,5 hours through Wadi Ghazala to see the Mushroom Rock. We then drive to Ain Khudra Oasis where we will have lunch. After lunch we walk through the White Canyon with the guide. We then return to Ain Khudra Oasis for dinner and to spend the night under the stars (Bedouin style). 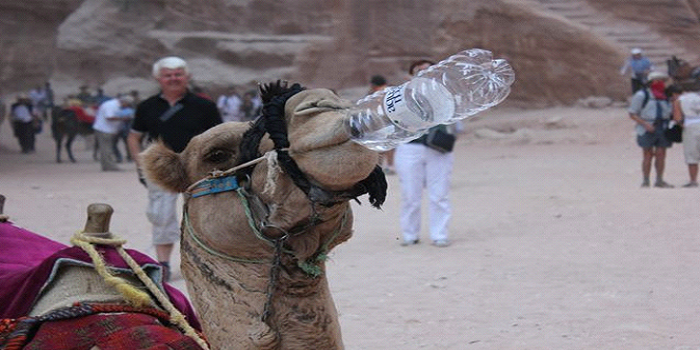 The next day you will travel by camel for one hour to the Closed Canyon. You will go through the Closed Canyon with your guide for 30 minutes until you reach the end. Then we ride the camel for about 10 minutes to Naqb el Hamidat, where we walk through this camel path for 15 minutes. We then ride the camel for 30 minutes through Wadi Ghazala to meet the car, which takes us back to Dahab, arriving around 2 pm. In the evening you will have one hour massage. In the desert we will provide (thin) mattresses and blankets. For your own comfort, we advise you to bring a sleeping bag. Arrive at Cairo International airport. An arrival transfer from the airport to the hotel is included. Join your fellow passengers and Trip Leader in the evening for a group meeting to learn more about the trip. Welcome to Egypt and the start of your holiday. 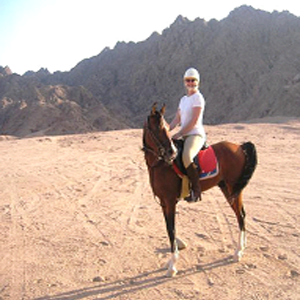 Included transfer from Sharm el Sheikh airport to Dahab, hotel check-in. Your week of diving begins now. Diving in Dahab is essentially shore diving. With a few exceptions you'll be driven by jeep to 'gear up' at water's edge to start your dive. 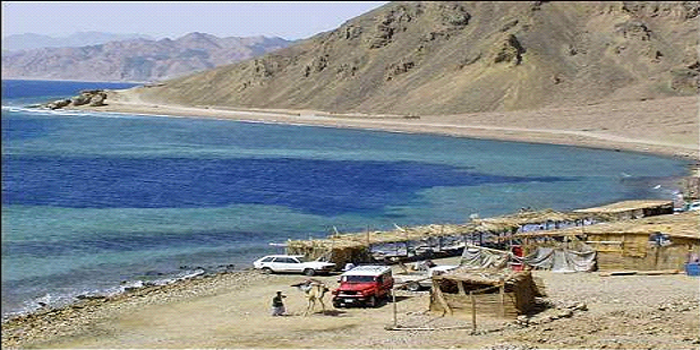 Dahab offers around 30 famous dive sites. 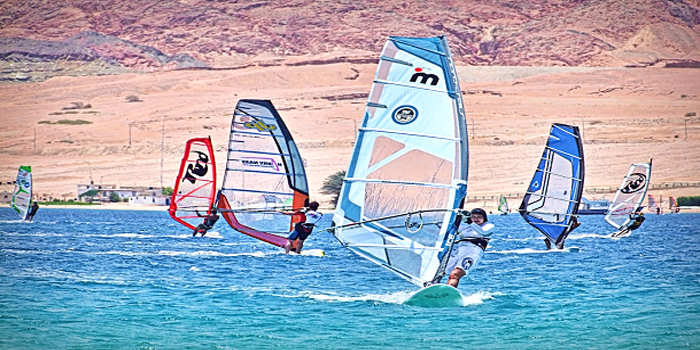 Some of the very best are located just a few miles north of Dahab. Considered some of the best in the world: The Bells, Blue Hole and the Canyon. Depart Dahab and onward departure transfer to Sharm el Sheikh Airport.